Richard Madeley and Judy Finnigan launched their latest WH Smith Book Club list yesterday, with an all-female selection 'in celebration of International Women’s Day this week,' according to Smith's launch statement. 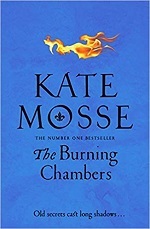 The spring book club opens with Kate Mosse's The Burning Chambers (Mantle), the first of a new Languedoc quadrilogy revolving around the 16th century Wars of Religion in France. Liane Moriarty returns to the Book Club with Nine Perfect Strangers (Penguin), a "terrific" and "fabulously funny" read according to Richard and Judy. stopping moment when Charlotte Reynolds loses four-year old Alice, her friend’s daughter.' Judy said: "The twist at the end of Now You See Her works well and neatly answers readers’ questions about what happened to Alice that sunny summer’s afternoon. But you won’t see it coming." Christina Dalcher joins the Book Club with her debut novel Vox (HQ) - an "utterly gripping and terrifying tale" said Richard. Dalcher explores the idea that women are only allowed to speak 100 words a day, and not a syllable more. Next in the Book Club is The Last Thing She Told Me by Linda Green (Quercus). "Most people have secrets and most of us (according to psychologists) take them with us to the grave. But not in Linda Green’s excellent and engrossing family mystery," said Richard. 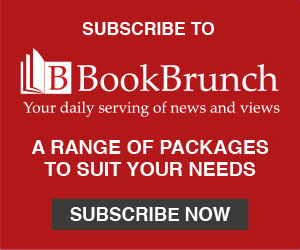 The Book Club launches with a series of podcasts, and WH Smith is stocking exclusive special editions of the Book Club titles filled with bonus content, including book club discussion points, author Q&As and more recommended reads.